From 21-23 October Garage48 will host the first ever open and big data hackathon in Estonia, where data enthusiasts have a chance to build prototypes with data science in just 48 hours. But what exactly is open and big data, why does Harvard Business Review claim that being a data scientist is the sexiest job of the 21st century and what do entrepreneurs get out of it? Come and explore the exciting world of data with the article below, where all your questions will be answered. When it comes to data the first picture in our mind usually captures long rows of endless numbers. Well, that’s not wrong either. But the world of data hides many more fascinating opportunities than it shows at first sight, because data could be found everywhere. Big data in itself means massive volume of both structured and unstructured data, like data from transactions or from social media. Open data on one hand could be something similar to big data, but on the other hand it’s the data you can freely use without having to ask anyone's permission or applying to anywhere, like governmental databases open for public. Even Estonian government is opening up an open data portal in 2017 in order to make the data that is produced from the public sector activities also machine readable as the data that is readable on websites does not satisfy the needs of people interested in the issue anymore. In making data machine readable machine learning which is titled as the next era of computer science plays a vital role. Machine learning in its essence is a method of data analysis that automates analytical model building. Using algorithms that repeatedly learn from data, machine learning allows computers to find hidden insights without being explicitly programmed where to look. For instance, online recommendation offers from Amazon and Netflix could be considered as machine learning applications and self-driving Google cars as the essence of machine learning. Alright so we have data but how do we put it into practice? On one side, it could begin with curiosity and asking lot of questions. Like it demonstrated in this TEDx talk by Ben Wellington. The other side of the answer would be data science. Even though the excitement around open data started just couple of years ago the last year was considered by many the 50th birthday of the official introduction of data science. 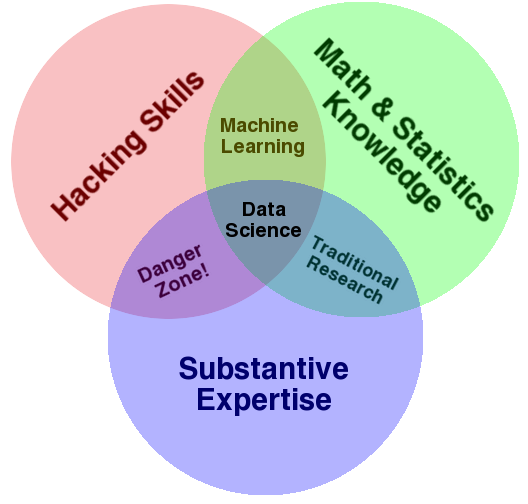 In its essence, data science involves using automated methods to analyse massive amounts of data and to extract knowledge from it. Something what is getting more and more relevant nowadays. Harvard Business Review also claimed that the job of a data scientists is the sexiest of 21st century, as it was for computer engineers in 1990s, and a shortage of data scientists demonstrates perfectly that in the following times there’s a real growing need of people able to analyse data and make something useful out of it. And it’s not just data scientists. There are plenty of other future careers in the data world: data analysts, data architects, data engineers, database administrators and many more. How could big and open data be the useful for entrepreneurs? As the amounts of open data continue to expand the more opportunities it reveals for entrepreneurs to take advantage of. It gives entrepreneurs a chance to create more effective solutions. In Estonia the awareness about open data is not that high yet either, which leaves even more possibilities to discover in the data world for the future. However, the Garage48 HUB Tartu Open Data event which was held in Tartu in March showed that the situation is begging to change slowly as teams of data enthusiasts came up with various solutions how to put open data into practice. Furthermore, with resources hidden in big and open data you have a chance to take the world to the next level of quality and efficiency. For instance, through data analyzing we could solve different issues in the world starting from fighting with the growing number of threats in cyber security to finding a way to stop human trafficking to discovering solutions for better sleep in the future. Likewise we could improve the quality and effectiveness of services and products like in food industry where big data has been used to improve the customer experience by analysing dining trends, demands and customer preferences.So why is Garage48 Open & Big Data 2016 hackathon a great starting point for your data journey? For You it’s a chance to discover the land of future opportunities and be on the forefront of innovation. This is the best place for the introduction to the data analysis, an opportunity to discover data science as a way to make gathered data work for you, chance to build prototypes with data science in just 48 hours and to meet amazing people with various skill-sets! See you soon and all the other entrepreneurial world-improvers/data enthusiasts at the Garage48 Open & Big Data 2016 hackathon already on the 21-23th of October! Garage48 Open&Big Data 2016 will take place in the framework of EU Structural Funds support scheme “Raising Public Awareness about the Information Society” and is funded by the European Regional Development Fund.